Glenn Brown became an Elder in 2016. He was born and grew up in Hinton, West Virginia. He moved to Crozet, Virginia with his wife, Judy in 1973. They moved to Waynesboro in 1986. Glenn was baptized 39 years ago at the Waynesboro church of Christ after several Bible studies with Roger Powell (former minister at the Waynesboro church of Christ). Glenn served as a deacon at the Waynesboro church of Christ for many years. He also preached for the Wintergreen church of Christ intermittently during a time when they were without a minister. Glenn has been a mechanic since 1973. 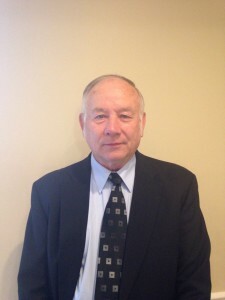 He has worked at Morton Frozen Foods, Truck Enterprises, Conagra Frozen Foods and currently works with the Virginia Department of Transportation. He was also co-owner of a truck repair shop. Glenn served in the US Army in Vietnam. 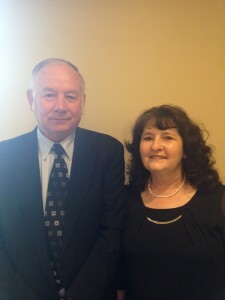 He and his wife, Judy have been married for 43 years. They have been blessed with a son Eugene and his wife Kelly and a daughter Valerie and her husband, Lance. They have 4 grandchildren, Preston, Kylie, Christian and Bradley. Glenn’s favorite verse is Matthew 18:20. He is comforted by the fact that when we are together, we are in God’s presence. His favorite worship song is “Farther Along” because the words of the song say a lot to him. Glenn enjoys attending car shows and working on his ’65 Galaxie and ’57 Fairlane. He also enjoys spending time with family and friends.